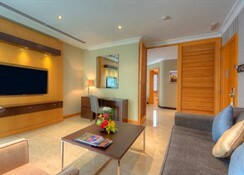 The Dubai Marine Beach Resort & Spa is located next to the lovely Jumeirah Beach. 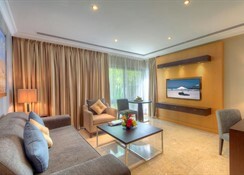 The property boasts of a three swimming pools, a private beach, 14 dining and entertainment venues. It offers well-appointed rooms and a relaxing spa making it a favourite among tourists visiting Dubai for business or pleasure. 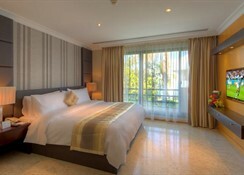 The hotel features 195 spacious rooms spread across a two storey complex. The rooms come with flat-screen TVs, a minibar, tea & coffee making facilities, en suite bathrooms, bathrobes, a hairdryer and table & chair. 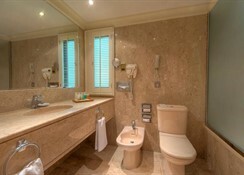 A few suites include a hot tub and/or a spa bath. Nestled amidst the calm of Jumeirah, a posh Dubai suburb, the hotel has easy access to many tourist attractions such as the Kite Beach, Jumeirah Beach Park, Dubai Zoo, Jumeirah Plaza, Etihad Museum, etc. For those travelling with kids, the hotel, having its own private beach, offers various sporting activities (payable locally) such as kneeboarding, wakesurfing, water-skiing, kayaking, windsurfing, snorkelling, aqua-volleyball and much more. Located on the Jumierah Beach, this upmarket property is almost equidistant from The Dubai Mall and the Burj Khalifa. 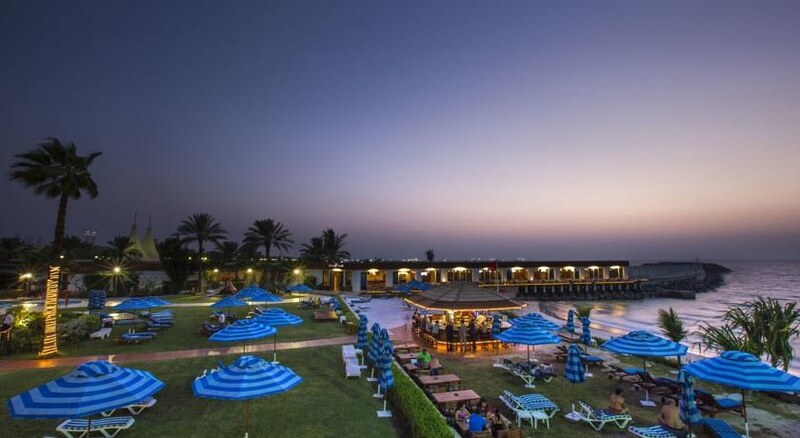 With its own private beach area, this offers guests a secluded sun bath experience or a quick deep in the Arabian Sea. The famed Etihad Museum, showcasing objet d’art from across the world, is a few minutes’ walk. Mall of the Emirates and Wild Wadi waterpark are a 25 minutes’ drive away. 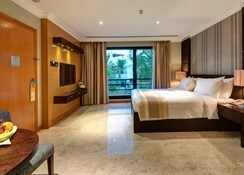 Dubai Marine Beach Resort & Spa has elegant 195 guestrooms spread across a two-storey complex. The rooms are furnished in a modern décor and come with free Wi-Fi, tea/coffee maker, flat-screen satellite TVs, en-suite bathrooms and minibars. 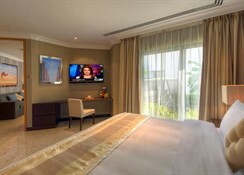 Superior rooms may have balconies, sofa beds, spa bath or hot tub. The hotel has a large swimming pool with a poolside bar where guests may have some splash-tastic fun. The luxurious spa is where guests can relax with massages, a Moroccan hammam and special facial/ body treatments. Fitness freaks can work out at its well-equipped fitness room. There is entertainment for younger guests.